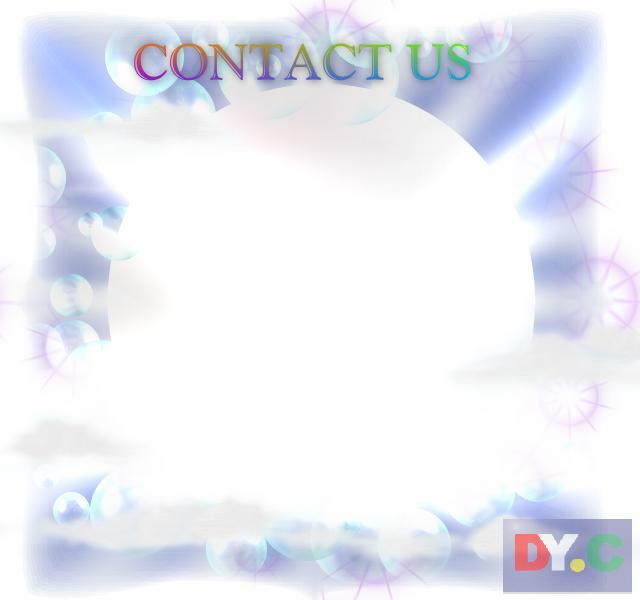 If your windscreens or backdrops are looking a little tattered or starting to fade please contact us for a quote. 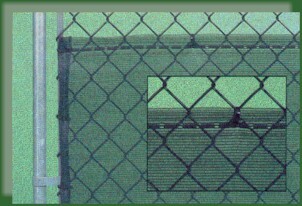 Add privacy and eliminates distractions around your tennis court. Our best material: 9oz total weight coated material. Very weather resistant with excellent color retention. Hems and SeamsHems are (4) ply and reinforced with heavy duty 18 oz. vinyl. Windscreens 9' high have center seam reinforced. Sewn with #7 all weather polyester thread. Brass, nickel plated spaced 12" apart on all four hems. 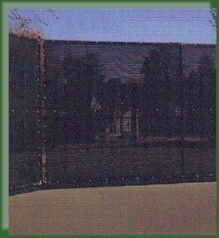 Windscreens 9' high have (2) grommets spaced 2" apart every 5' on center seam. Non-standard colors and fastening devices. 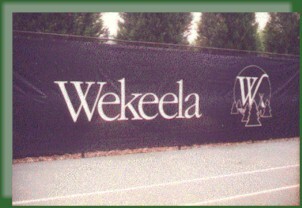 Our Windbreak model is perfect for schools, parks, and for limited budgets. 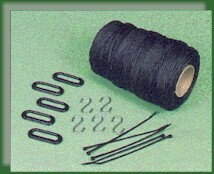 Dark green knitted polyethylene UV stabilized. Windbreak factor of 70%. Available in 6?or 9?heights in rolls 120?long. Each roll comes complete with 300 tyraps. The 9?screen has a reinforced center allowing you to install Tyraps that will prevent billowing. This material can be cut and fitted on site for a perfect fit. The reinforced edge eliminates the use of grommets. Simply insert the tyraps every 12" through this edge top and bottom and every 6" on the sides.